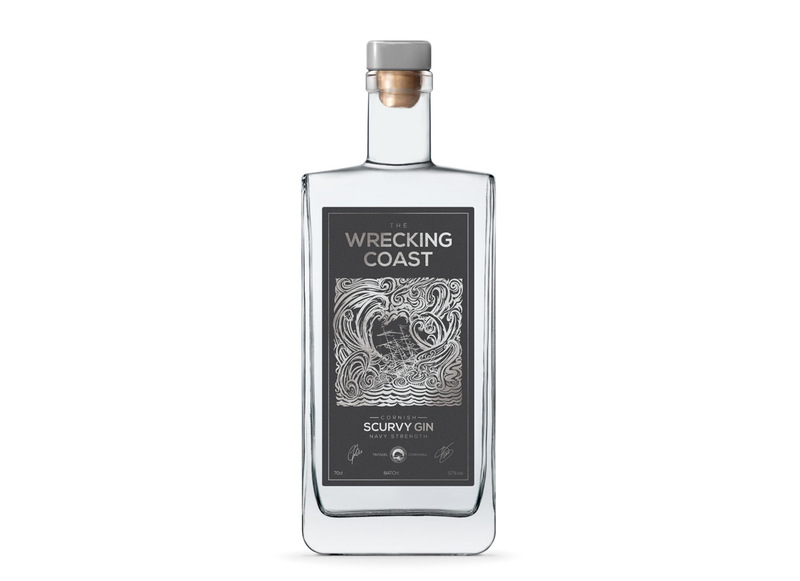 Nine botanicals including fresh un-waxed lemon and lime peel and locally foraged fresh scurvy grass creates a robust, juniper led gin with bold citrus notes, hints of liquorice and peppery heat from the scurvy grass. Great in a G&T with good tonic and lemon and lime zest for garnish but an absolute knockout in a Martini. Named for its power to cure scurvy, that malaise of early sailors, it was regularly taken on board ships in dried bundles or in distilled extracts to provide much needed vitamin c.
Scurvy grass drinks and sandwiches were popular in the UK until the middle of the nineteenth century when lemons became available and when conflict restricted the Royal Navy’s access, limes from the Caribbean replaced them (hence the name ‘limeys’ for the British!). Gin at 57% abv traces its roots to either the “proof” of strength to avoid being swindled with watered down gin (gunpowder, sparked into gin at this strength would stay lit), or perhaps from the fact that, if spilled on gunpowder, the cannons would still fire.